Last January I foolishly decided to make 5 predictions for the web in 2011. Despite the fact that my prediction skills fall somewhere between “coin flip” and “magic 8-ball”, I’m revisiting them here to see how many (if any) I nailed. 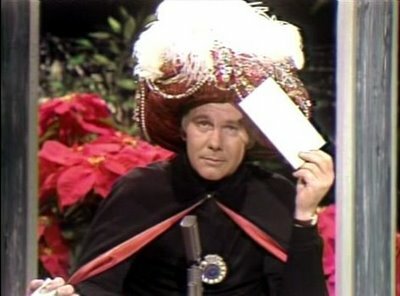 If I think the prediction came true, you’ll see Carnac the Magnificent, but if I got it wrong you’ll see Miss Cleo. More apps also appeared using AR, like Skyview for the iOS. But, on the whole, AR has yet to breakthrough into the public consciousness. And, thanks to a year’s worth of perspective, I’ve started to see that it probably will never have a killer app, breakthrough-type moment, and instead will slowly tip into widespread consumption; people will eventually see AR everywhere, and not even realize they are using it. Despite my best wishes, QR codes did not get smaller this year – they continue to be big, ugly, and largely mis-used. While they did become more common, they have yet to reach their full potential. Instead of being special mobile “short-cuts” to timely, relevant information, they have become a status symbol; if you want to look like you’re ahead of the game, throw a QR code on there. I get the feeling most of the latter people will eventually move onto the next “cool” thing, and the technology of the QR code will never really advance beyond where it is now. 0 for 3? I’m like the Canucks in a shoot-out. But, I’m blaming this one on a technicality. Since the NFL was able to avoid a work stoppage, advertisers weren’t forced to consider alternatives to their traditional pigskin buys. The same can’t be said for the NBA, which lost a huge chunk of it’s season to a lockout (games from October to December were cut from the schedule). But, the NBA is too small to see the massive changes I was looking for from this prediction. My New Years resolution – no more predictions! However, I’m giving myself a little more credit on this one – Digg suffered through another hard year in 2011, including the loss of a co-founding CEO, and the tepid response to new product launches. A site that was once among the top 100 sites on the internet is now found below 200th. Month over month their traffic falls, and many SEO experts are predicting 2012 to be the year when the axe falls (except Mashable, who is predicting Digg will be bought by Facebook). #5 Apple Stock will Fall. Hard. I’m a genius! Okay, not really, but still, at least I got one of these stupid predictions right. Unfortunately, as you will see, it was on a technicality. In June, Apple stock was doing pretty well; after starting the year at $329, the stock price had risen to $345 at the beginning of the month. However, on June 20th the stock hit a rough patch, falling all the way to $315 per share; its lowest price in 6 months. The fall actually began on June 6th, the day after Apple’s developer’s conference concluded, during which very little about the iPhone4’s replacement was mentioned. Apple’s stock did fall hard. But, then it recovered. And it recovered harder. By the end of the year, the stock price was at an all-time high, over $400 per share. So, where do I get the balls to say I got this one right? Because what the prediction really was about was Steve Jobs, and his position at Apple. In my blog I predicted that Steve’s health would force him to leave the company he had worked so hard to build. And, although I had predicted it would happen in March, and the move actually came in August, I’m still giving myself a pass here. I never predicted Steve’s death, however, an unfortunate passing that left us all with an enduring message: here’s to the crazy ones. This was a bonus because I considered it to be a fait acompli, but yes, paid Tweets have started to appear in Twitter streams. I have to say though, that Twitter has done a good job keeping these to a minimum, and the service hasn’t appeared to suffer. I thought I would end by touching on what I though was the biggest surprise of 2012; something even a savant like me couldn’t have predicted. For me, it was the launch of Google+. I had expected Google to do something in the social realm (indexing real time Tweets etc.) but I did not anticipate them launching a Facebook rival. I would say the jury is still out on Google+, but at the time it definitely came from left field. As one of my most challenging years both personally and professionally ends, I’m looking forward to changing over to 2012. I want to embrace it with a new attitude, and a positive outlook that says “yes, I can do anything!”. 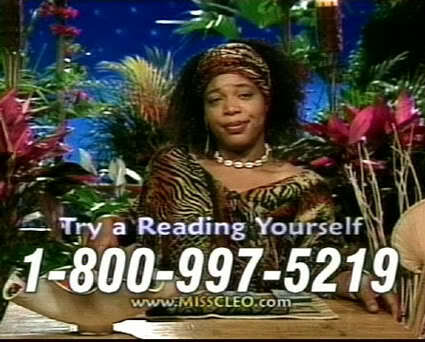 That’s why I’m writing my next blog right now, called “Web/Marketing Predictions for 2012”!. Who is in Your Crew? A Wink Giveaway: Abbotsford Heat Tickets!